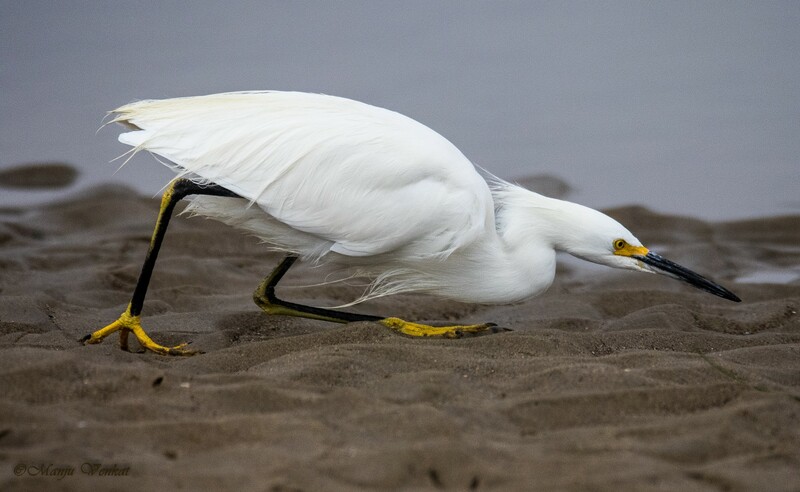 i'm sharing: A photo of a Snowy Egret in stealth mode, trying to catch a prey. The stance exhibited by this bird inspired me to caption the photo as "Crouching Egret, Hidden Worm," after the karate movie. this was inspired by: The paintings and pictures of nature, depicting the magnificence of the natural world, inspire me to photograph and document the beauty of our planet, and particularly of the natural resources. to me, inspiration is: Inspiration is to become one with the element you admire or appreciate.